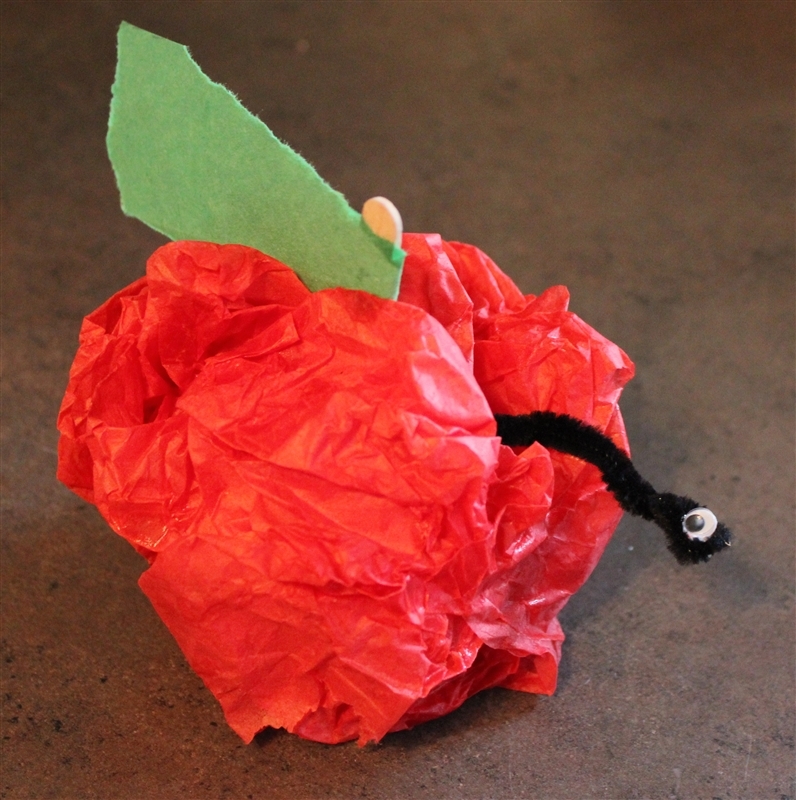 Fruit Snake Craft - Wad up a piece of red tissues paper around a popsicle stick. Add googly eyes to a pipecleaner. Mostly hide the pipecleaner in the fruit. With water downed glue, paint the tissue paper to hold together around the stick and pipecleaner. Add a green leaf to the stick. Discuss how the fruit is beautiful but God sees the whole picture (the hidden snake) and knows what is best for us. Adam and Eve Fruit - Print the Adam and Eve Printable . Cut and color the fruit. 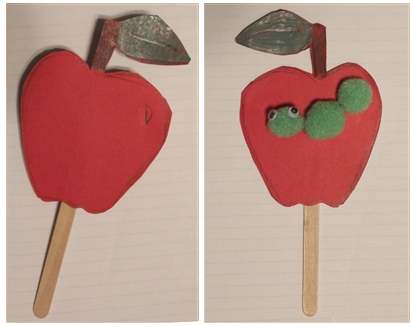 Glue one fruit to each side of a popsicle stick so they match up. On one fruit, add pompoms to make a worm. Add googly eyes on the head. Leave the other fruit plain. 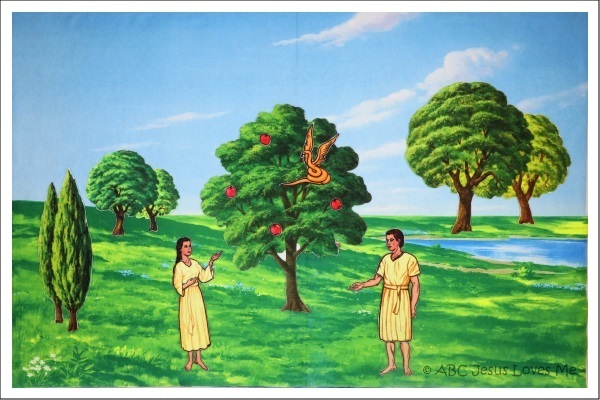 Discuss how Adam and Eve saw only want they wanted to see (the beautiful fruit). God saw the whole situation (the wormy side) and knew what was best for them. - Possible ending to the Bible story - "Even though this was a sad day, when the serpent lied and Adam and Eve disobeyed God, God already had a plan for helping them. His plan was to one day send His Son to Earth to take away sins and bring people back to God!" Thank you Tauna for this idea. 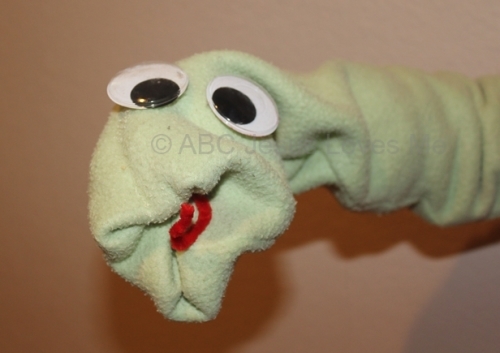 To tell the story of Adam and Eve, I created a sock puppet. Pulling the end of the sock inward, place inside a red or black pipecleaner. Then tape googly eyes on top of the sock. While telling the story, allow the puppet to talk for the snake. Be sure to over emphasize the "s" sound in words as he talks.